Aloo Tikki or potato cutlets was one the most often made food item in our household when I was growing up. No wonder I associate it as a comfort food, as I am sure, many others do as well. I stopped making them a while back because of amount of oil required to make them crisp, but things changed when we bought the Airfryer. With less than a Tbsp of oil I made a whole lot of Aloo Tikki in Airfryer and gorged on them. Try it, I am sure you will do the same. Place 2 Aloo tikkies on a serving plate. Pour 1-2 ladles full of Chholey. Garnish it with chopped red onion and chopped cilantro. Arrowroot powder helps in making the Aloo Tikki crisp. The lack of gluten in arrowroot flour makes it useful as a replacement for wheat flour in some baking uses. Like other pure starches, however, arrowroot is almost pure carbohydrates and devoid of protein, thus it does not provide a complete substitute for wheat flour for bread-making, which requires gluten. Arrowroot thickens at a lower temperature than flour or cornstarch, is not weakened by acidic ingredients, has a more neutral taste, and is not affected by freezing. It does not mix well with dairy, forming a slimy mixture.It is recommended that arrowroot be mixed with a cool liquid before adding to a hot fluid. The mixture should be heated only until the mixture thickens and removed immediately to prevent the mixture from thinning. Overheating tends to break down arrowroot’s thickening property. Two teaspoons of arrowroot can be substituted for one tablespoon of cornstarch, or one teaspoon of arrowroot for one tablespoon of wheat flour. Boil the potatoes with a spoon full of salt, peel and mash them well. Add bread crumbs, Green chillies, coriander, cumin powder, black pepper powder, arrrowroot powder and salt to the mixture and make a dough. Make 8 equal portions of the mixture, shape them in your palm to make round shape. (or oval ). Keep aside. I want to make aloo tikki/cutlets very very crispy like the one used by famous burger makers. I understand they freeze the tikki under certain temperature.. And the tikki remains crispy even after hours of cooking.What is the secret? I want to make such crispy tikkis at home. Can you help? Can I prepare this recipe in microwave?? Hello Riya, No. 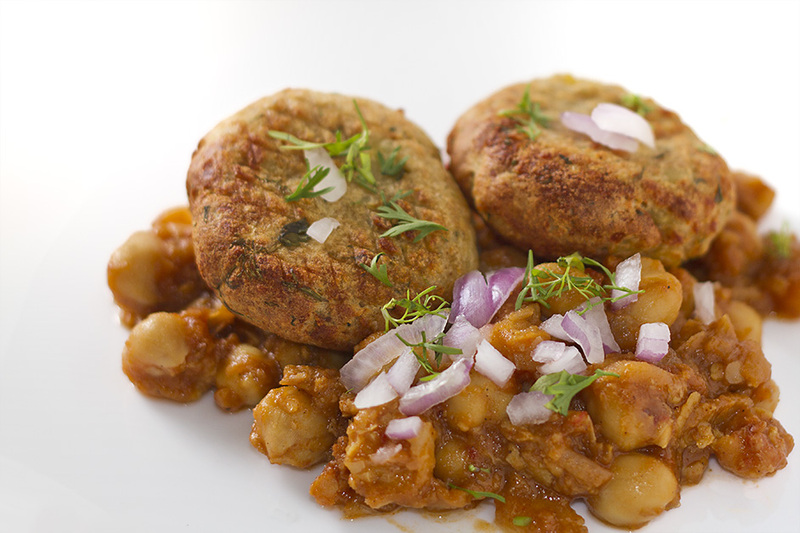 Alu tikki can’t be made in a microwave, but you can try it in the oven.